Salman Khan’s Tiger Zinda Hai has been going real strong at the box office. It has been continuing its blockbuster tag with each passing day. Tiger Zinda Hai has become Salman’s highest grossing film of all time. It has crossed the lifetime collections of Salman’s previous top grosser film, Bajrangi Bhaijaan (320.34 crore). Ali Abbas Zafar’s Tiger Zinda Hai made a grand entry into the 300 crore club. The film has successfully entered its 5th week at the box office and it has collected a whopping amount of 330.53 crores. 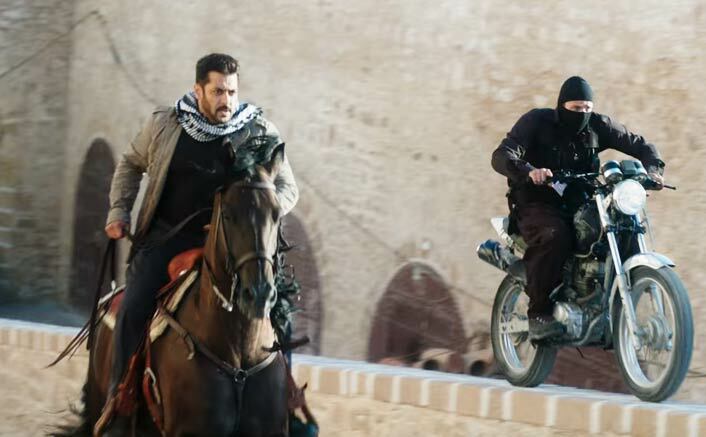 With this, Tiger Zinda Hai becomes Salman’s third film to enter the 300 crore club after Sultan (300.45) crore and Bajrangi Bhaijaan (320.34) crore. Going by the box office collection, its 1st week collection is 206.04 crore,2nd week 85.51 crore,3rd week 27.31 crore and 4th week 10.89 crore. Not only this, the film has some other achievements too. Tiger Zinda Hai is the highest grossing film in India for Yash Raj Films too. And it is also Ali’s second film to enter 300 crore club after Sultan (300.45 crores). Well, this film has proved to be special for the whole team. This Salman Khan and Katrina Kaif starrer film will enjoy a good run at the box office since there are no big films releasing till January 25, 2018. Last week too, there were few small films like Kaalakaandi, 1921 and Mukkabaaz that got released in the theatres. But still Tiger Zinda Hai, because of its good word of mouth, will manage to run until Padmaavat releases next week. Before Tiger Zinda Hai, we saw Salman Khan’s Tubelight tanked at the box office. The film wasn’t received well by the audience and fans. And it seems that Salman literally hunted like a wounded tiger after his film flopped. But he surely made a grand comeback with Tiger Zinda Hai and the year 2017 ended on a high note! The post Tiger Zinda Hai Crosses The 330 Crore Mark; Enters 5th Week At The Box Office appeared first on Koimoi.